The Polyvance app is designed to help technicians quickly identify plastics and the best way to repair them. The app has a simple design to allow technicians to quickly find the information they need. 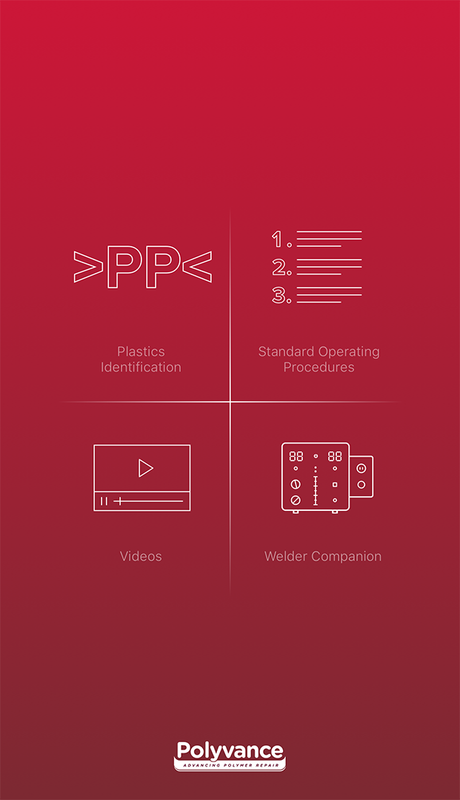 There are four main sections of the app: Plastics Identification, Standard Operating Procedures, Videos, and Welder Companion. 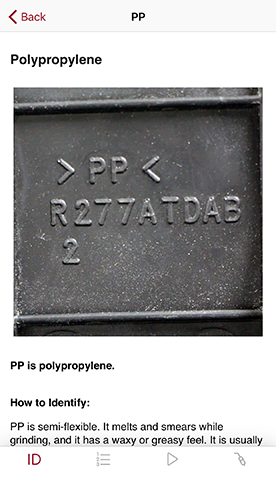 Plastics Identification – a list of the most common plastic ID symbols, detailing what they are, where they are found, and how to repair them. 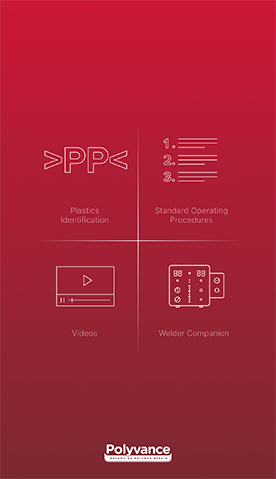 Standard Operating Procedures – takes the user step-by-step through how to use Polyvance products. Videos – puts the industry-leading Polyvance plastic repair video tutorial library in the user’s fingertips. 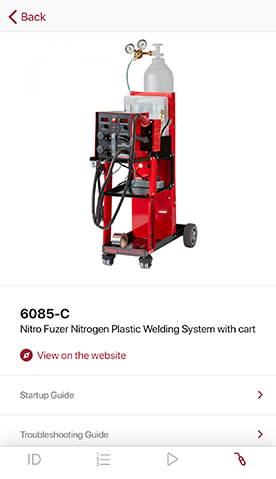 Welder Companion – complete information about Polyvance’s nitrogen plastic welders. 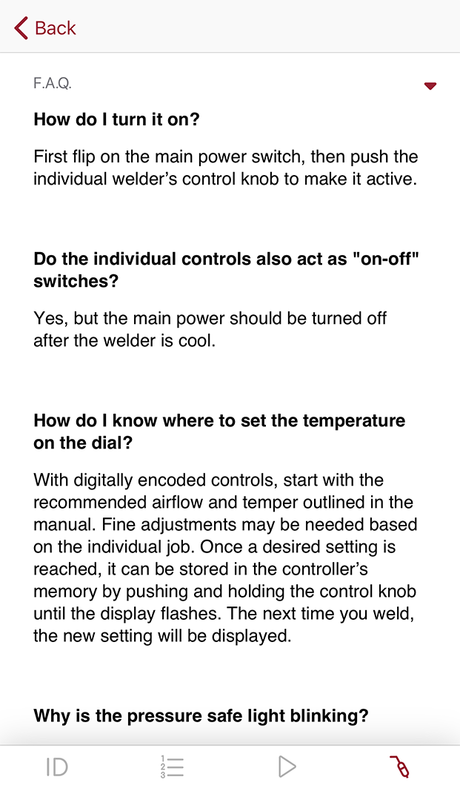 Quick-start guides, general troubleshooting guides, and welder FAQs can be found in this section. 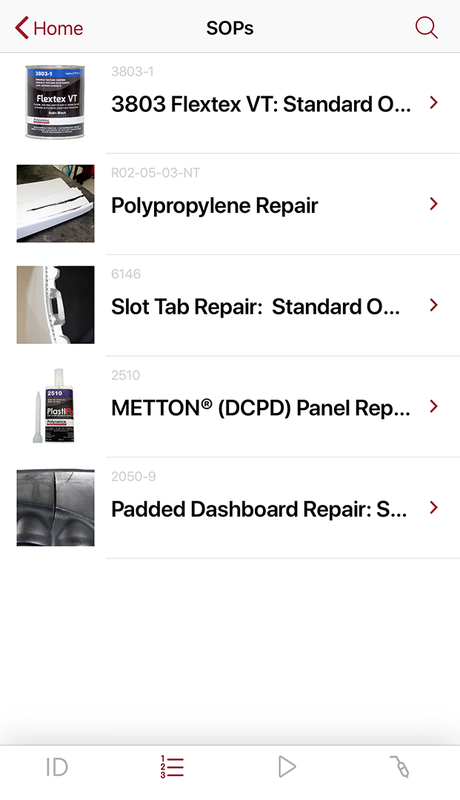 The Polyvance app is compatible with iPhone, iPad, iPod Touch, and Android phones and tablets. 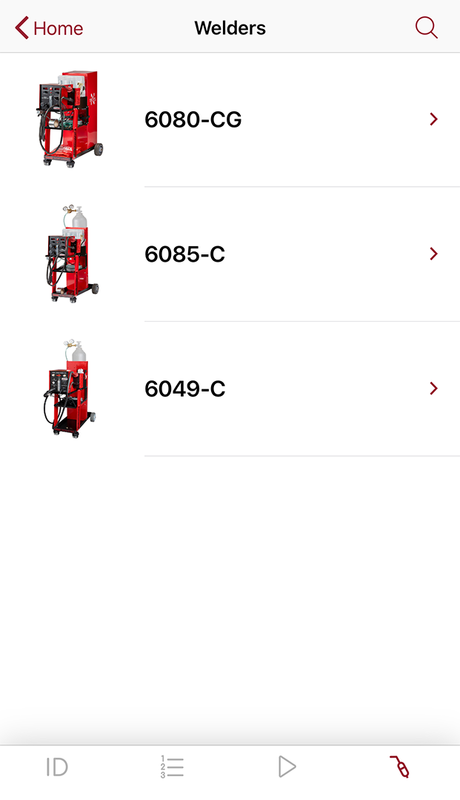 Apple devices must be running iOS 10.0 or later and Android devices must be running Android 4.4 or later. 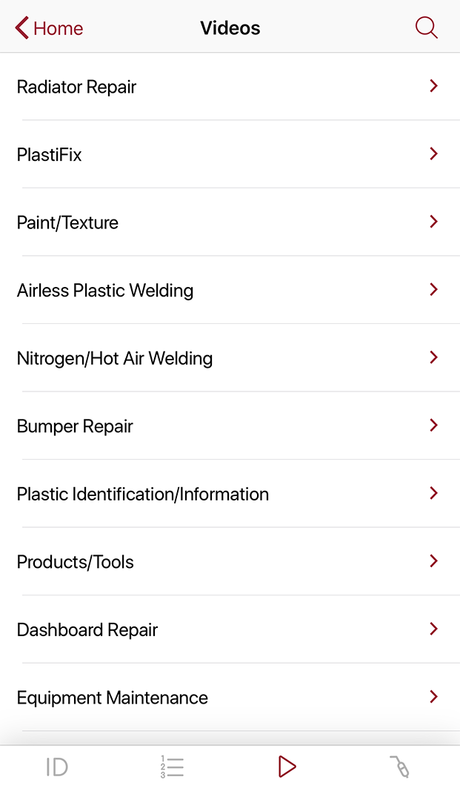 The app may be downloaded for free from the Apple App Store or the Google Play Store. 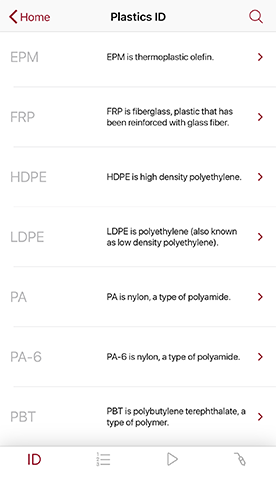 You can find it by searching for “Polyvance”. 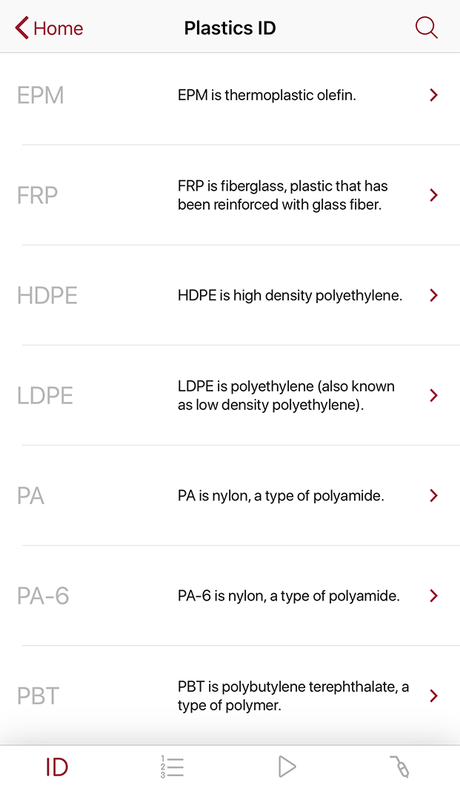 Direct links to the Polyvance app page and screenshots of the app can be found below.